It’s important to understand why flexibility and mobility are not one and the same, especially if you teach athletes. Come geek out on the finer points of both. 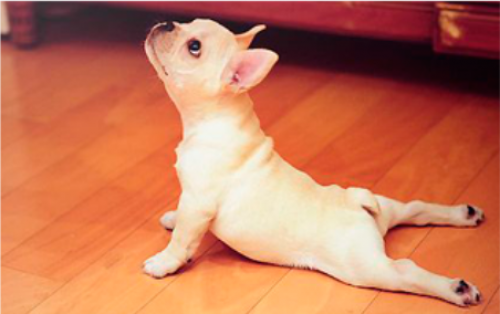 Many people equate yoga with stretching and see stretching as a way to gain flexibility. In fact, athletes often avoid yoga because they don’t feel they are flexible enough. While flexibility is certainly an important aspect of yoga, so is mobility; both help maintain good health and avoid injury, especially as we age. 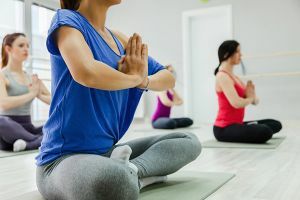 If you teach yoga to athletes, it’s imperative that you understand the difference between the two and understand how to include both in the practice. In a nutshell, flexibility is the ability of a muscle or group of muscles to lengthen passively through a range of motion (e.g., Supine Spinal Twist), which means it eliminates the element of strength in the muscles surrounding the joint(s) we are focusing on. Mobility, on the other hand, is the ability to move a joint actively through a range of motion. It takes everything into account: the joint, the joint capsule (ligaments), the muscles crossing the joint and the nervous system (motor control). Like flexibility, mobility involves range of motion at a joint; however it active because you are doing the work yourself (e.g., Seated Spinal Twist). You have to contract your muscles and take your joint through its range of motion yourself, as opposed to allowing gravity to do the work. Mobility is also specific to a certain movement, which means, for example, you need a certain amount of hip mobility if you’re going to do a squat or a lunge. Flexibility is a large focus when we’re in a Supine Spinal Twist because we use gravity to move into the pose and hold it passively. Mobility is a large focus in a Seated Spinal Twist because we actively move into and hold the pose. So which is better? Answer: we need both. We need to have a passive range of motion (flexibility) through our joints in order to be able to have the active range (mobility). In addition, mobility exercises address dysfunctions and other movement limitations that often lead to injury. 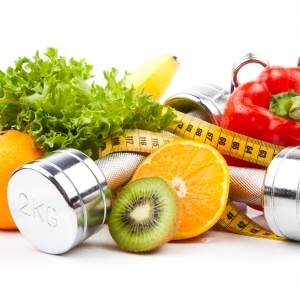 They also challenge the body to perform specific movements without compensation from other areas. YogaFit–style classes support the idea of functional movement for all-around mobility and functional flexibility. With our Three Mountain Format, we begin with smaller movements and gradually increase to full range as the body warms appropriately through Mountain 1. We then focus on the major joints moving from big muscle groups to smaller—culminating in a series of Sun Salutations that create greater range of motion by linking poses together. 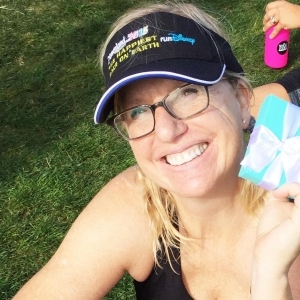 We are primarily working here on mobility—activating the muscles around a joint and moving that joint through its full range of motion in a progressive manner. During Mountain 2, we work on both mobility and flexibility as we hold poses slightly longer, creating either greater strength building or greater stretching, depending on the pose. In Mountain 3 we use deeper stretches and longer holds that are designed to improve range of motion and increase flexibility. We can also include advanced stretching techniques such as Proprioceptive Neuromuscular Facilitation (PNF) to enhance flexibility, a technique in which you use contraction-relaxation of a muscle to create more lengthening of the muscle. Check back next month for an article on how to incorporate PNF into your yoga class. One of the best ways to use teach our students about mobility and flexibility is to offer sequences that address muscle imbalances between the front and back of the body. Let’s look at one example: a forward head position or forward rounded posture. This posture is often a result of lifestyle (e.g., prolonged periods of sitting at a desk) or sport-related training (e.g., cyclists in a rounded position). It is characterized by shortened, tight muscles in the chest, shoulders, and upper neck and lengthened, weakened muscles in the mid-upper back. To create more balance in the body, we would statically stretch the pectorals and anterior deltoids (chest and front of shoulders) in postures such as Chest Expansion, Camel, and Bow. We would also include mobility exercises such as Flowing Thread the Needle and Cat/Cow, which address limitations in the shoulder girdle, neck, and thoracic spine. Let’s break down a sample sequence to show both mobility and flexibility. Remember, every body is different so each person will experience these concepts differently. • Exactly how to move, if it’s a flowing movement. For example, in Cat/Cow we cue articulating the spine and will want to cue moving from the hips first, then the low back, mid-back, upper-back, and the head last. • Releasing tension in other parts of the body, which may be inhibiting the benefits of the posture. For example, in Supine Spinal Twist cue relaxing shoulders down from ears and releasing tension in the legs and hips. Begin with 2 to 4 Sun Salutations to warm up the body and to create mobility through all joints. Flowing Cat/Cow: An active movement used to create mobility in the spine. Cue to focus on articulating and finding movement in all parts of the spine. 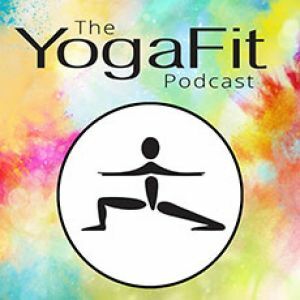 Thread the Needle: Start by flowing in and out of Thread the Needle on one side to create range of motion in the shoulder girdle and rotation in the thoracic spine. Do this 4 or 5 times then hold the pose for 2 breaths before switching sides. Childs Pose (with Lateral Flexion): A passive stretch for the entire back. Adding lateral flexion will move the spine in the frontal plane of motion and create openness in the side body. Sphinx: An active pose used to strengthen the mid-upper back while opening the chest and front of shoulders. Cue to pull the shoulder blades back and down. 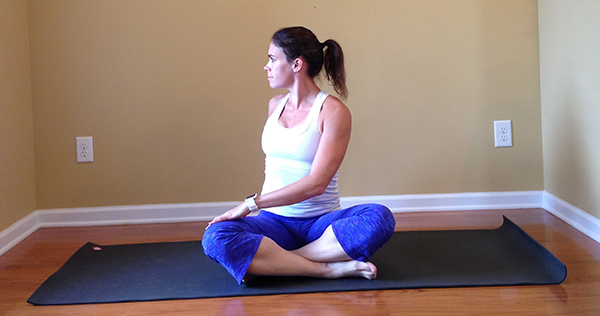 Seated Spinal Twist: An active pose used to strengthen one side of the body while stretching the other. Cue elongating the spine, activating the core, and pulling back the shoulder of the twisting side—i.e., when twisting to the right, pull the right shoulder blade back to deepen and bring more strength to the twist. 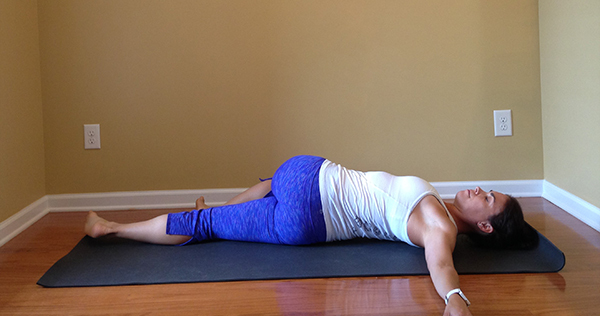 Restorative Fish: A restorative posture and passive stretch to open the front of the body. A core ball or block is an ideal prop for this posture. 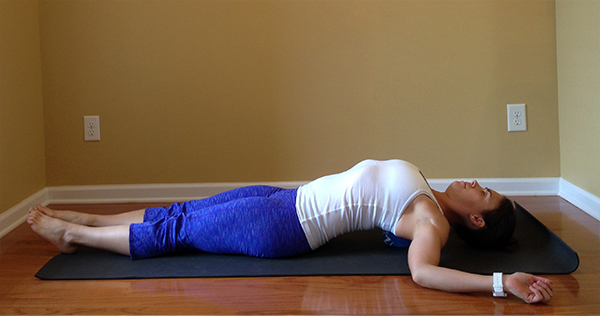 Supine Spinal Twist: A passive pose to release the muscles in the lower back. Option: cue turning the head in the opposite direction of the twist in order to bring greater range of motion through the neck.